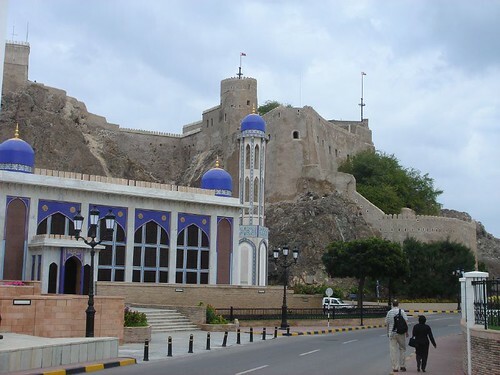 Muscat, the multi-ethnic capital of Oman, is a crucial east/west world trading port. Its location on the Gulf of Oman in the Arabian Sea, with proximity to the Straits of Hormuz, makes Muscat both a beautifully located and also extremely important strategic city. Muscat’s typical, mainly low elevation, white buildings by the sea against the background of the mighty Western Al Hajar Mountains, paint a very pretty picture. However, Muscat’s port of Muttrah is unashamedly commercial and trades mostly in petroleum and consumer goods. Muscat’s rich historic record reveals that the previous rulers have included Persians and Portuguese. Muscat was known from the 6th millennium BC as Ras al-Hamra. In the 18th century AD, Muscat ruled supreme with parts of East Africa being under its control. It also traded extensively with the Gujaratis, the Persians and the Balochs. Since the 1970s it has grown exponentially to its present day economic vibrancy. Muscat’s climate is generally very hot and arid; temperatures can reach 40°C in the summer and there’s very little chance of rainfall, mostly in March. Visiting the Old Palace and Old Muscat gives a sense of how the city was before its modern expansion. The Bait Al Falaj Fort is very photogenic. There are also quite a few characterful shops in the main shopping district, the Al Qurum Commercial Area. In addition, huge modern malls are found in several city locations. The National Museum of Oman, the French Museum and the Heritage Museum are just some of the museums in Muscat. 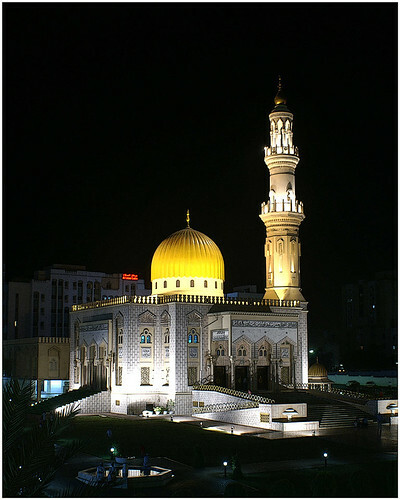 Also worth visiting are some of the religious establishments such as the Zawawi mosque, the magnificent sandstone Grand Sultan Qaboos mosque and the Ruwi mosque. You could take in the Krishna, Shiva and Hindu temples and at least one of the Shi’ite mosques. Omani Wadis (characteristic dry valleys or river beds) are a pretty popular natural tourist attraction, as are the nearby deserts and several pretty beaches with their various water sports. The main Muscat Festival (January and February) is quite colourful and features concerts, traditional dances and rides – both theme park style and camel rides.